The year in boxing thus far has been really all may fans could ask for after 2018 gave us a lot to remember. We're not even halfway through 2019, though, so there's still plenty of action still to come with some of the most notable champions in the sweet science still yet to hit the ring. Plenty of the boxing action that we crave is headed our way as the summer months quickly creep up. Respect box? 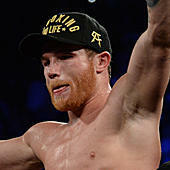 Subscribe to our podcast -- State of Combat with Brian Campbell -- where we take an in-depth look at the world of boxing each week. We started 2019 with a bit of business in the welterweight division as Manny Pacquiao dominated Adrien Broner for an easy decision win that could set up a Floyd Mayweather rematch. Now, we have plenty of big names still to look forward to the rest of the year. Canelo Alvarez takes on Danny Jacobs on Cinco de Mayo weekend and heavyweights take center stage in late May and early June with Joshua, Wilder and Tyson Fury all in action. Below is a running list of boxing main events for the 2018 year. Note: This will be updated constantly with changes and additions.